Creamy Eggs and Kale Breakfast – These Creamy breakfast eggs with kale are an easy one pot breakfast or lunch – ready in under 10 minutes. 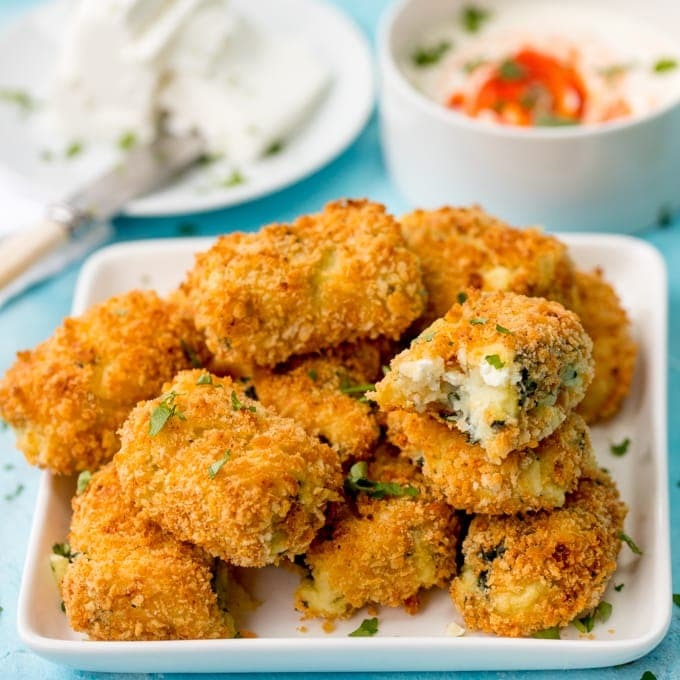 My absolute favourite grown-up version of dippy eggs and soldiers. 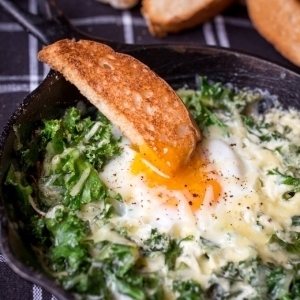 Cheesy, creamy kale, topped with a perfectly runny egg and pinch of seasoning. Sound good? That sentence pretty much covered the whole ingredient list. It’s so easy that I make this at least once a week for lunch, and most of the time I don’t even bother with the toast – instead I rely on the kale stalks for a bit of crunch. I love munching on the stalks. You’d think I was some stick-thin health freak if you looked at my kale consumption alone. I assure you I’m not. I’m a chocoholic, cakeaholic, pastry-a-holic too, I just really really like kale. In fact I wonder what chocolate covered kale would taste like…….. Although very simple, this is actually my eggs and kale version 5. My first time making this a few months ago, I tried to go down the ‘en cocotte’ route; baking the eggs in the oven. I found the kale went crispy whether I sat the dish in a water bath (v1) or not (v2). Version 3 simply involved adding more cream to help cover the kale. Didn’t really work though, it was a bit too much cream for breakfast, and the kale still went crispy. Version 4 involved covering the pot in the oven. This stopped the kale from going crispy, but also meant the egg took ages to cook – which left me with mushy, overcooked kale. Then, after calling myself a few names for not being able to cook a stupid egg, I realised that using a pan would be a much easier way to control the heat. Voila – version 5 of creamy eggs and kale was created, and I haven’t looked back since. I haven’t tested it on my kids yet. They love dippy eggs and tolerate kale. Maybe this could be the recipe that swings it for my favourite green veg. Besides I could probably do with weaning Lewis off his peanut butter obsession just a little. In fairness, he asked for almond butter the other day. ‘The one with the nutty bi*ches’ was what he innocently asked for. Ha ha, I’m truly hoping he meant nutty bits. 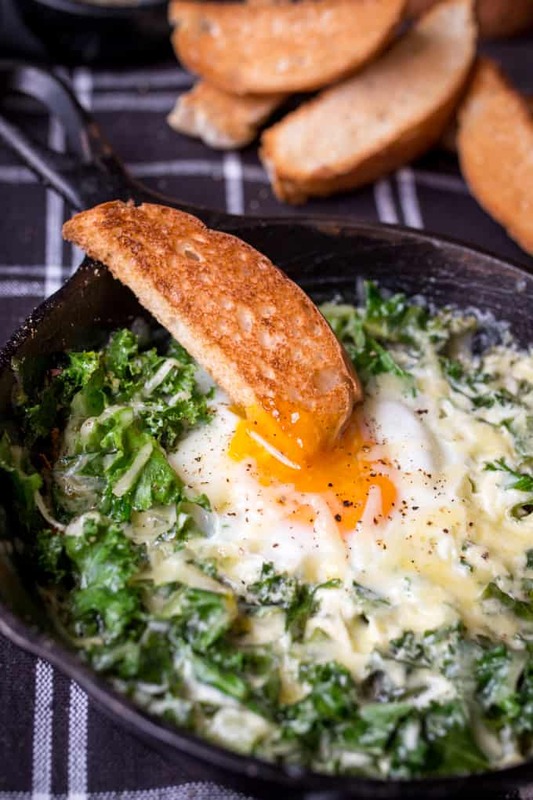 Creamy Eggs and Kale Breakfast - An easy one-pot breakfast or lunch - ready in under 10 minutes. Heat the cream in a small frying pan until hot, but not boiling. Stir in the kale and sprinkle on the cheese, reserving a small pinch. Place a lid or some foil on the pan and allow the kale to wilt on a low heat for 1 minute. Take off the lid, and make a small well in the centre of the kale. Crack the egg into the well and sprinkle with the reserved cheese and salt & pepper. Cover the pan again and cook on a low heat for 5-7 minutes until the white of the egg is cooked, and the yolk is cooked to your liking. 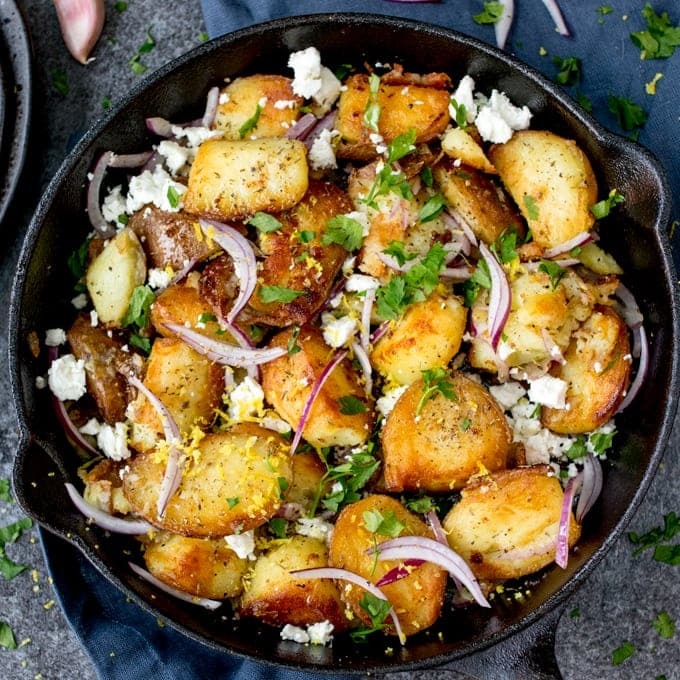 Serve from the pan either on it's own, or with toast for dipping. Nutritional Information is per serving, without the toast. Some of the links in this post may be affiliate links – which means if you buy the product I get a small commission (at no extra cost to you). If you do buy, then thank you! That’s what helps us to keep Kitchen Sanctuary running. The nutritional information provided is approximate and can vary depending on several factors. For more information please see our Terms & Conditions. What a great idea. I’m so into savoury egg dishes at the moment. I’m trying this tonight! Going to sub out two tbsp of cream and add some sliced tomatoes, chives and some garlic to make it a bit more savory! I tried this and LOVED IT! I ended up making it twice! Absolutely delicious but 35 grams of fat?! I don’t think I can justify eating that much regardless of the high protein…..
A little update – I made this for lunch today, love how quick it is and tasty too. I added a little nutmeg which helped give it a nice touch of warmth, much needed on a wet, cold grey day as we are having! 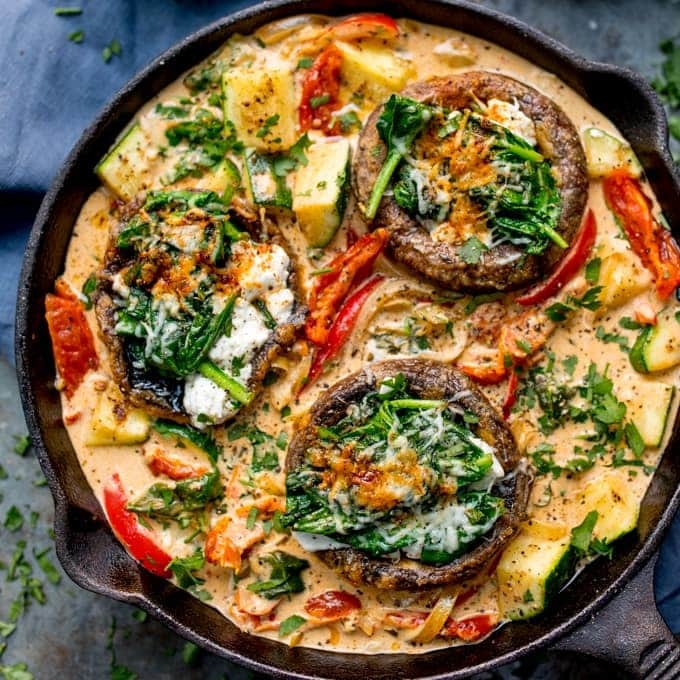 This sounds good, I will definitely have to give it a try – I have been thinking myself recently on different ways to have kale as it’s one of those things I want to like, and get a lot in my vegetable box, but I am not always that creative in how I use it. Thanks for the idea, and a nice introduction for me to your site! creamy eggs sound great–also good way to get in the greens! 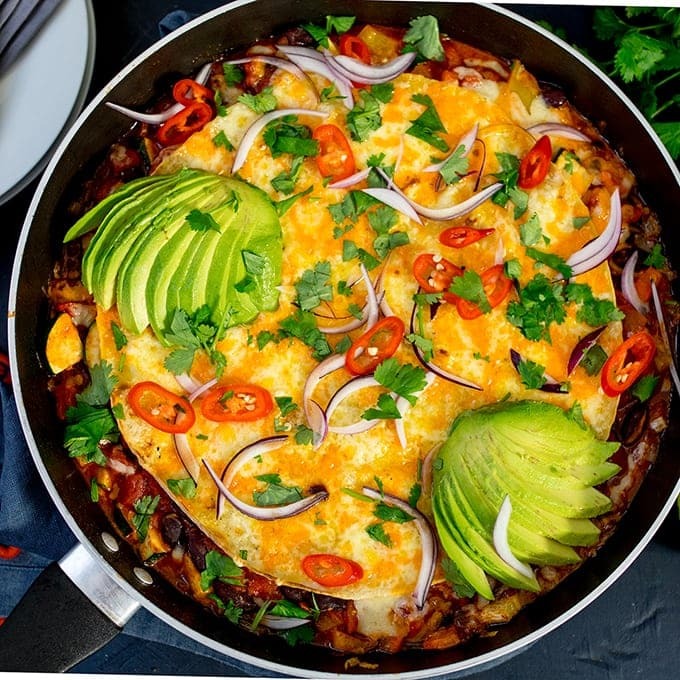 Love one pot breakfasts like this.. definitely going to be making the recipe, love how simple, quick and delicious it is!